Age, work stress, obesity, and hormone fluctuation are just a few factors causing you to suffer from unpleasant varicose and spider veins. Though generally harmless, the appearance of these veins can make you want to cover up, even during the summer months. Varicose veins are blue or purple in color and appear inflamed. Spider veins are somewhat similar to varicose veins, but they’re closer to the skin’s surface and smaller in size. Spider veins can expand to the face. Millions of people suffer from varicose and spider veins, so it’s surprising how little is known about treating these ailments. If left untreated, they can cause long-term health problems, including general discomfort, leg swelling, deep vein thrombosis and leg fatigue. Due to these reasons, people suffering from varicose and spider veins are encouraged to educate themselves by reading expert resources and seeking specialist treatment. Listed below are some benefits of taking a specialist's opinion and seeking treatment under their guidance. 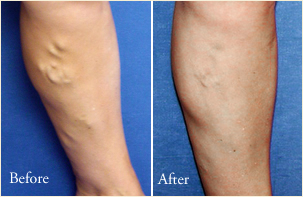 iVein and other top specialist treatment centers will educate you on these venous diseases. They do this through informative articles, visuals and videos about the signs and symptoms of the disease. For instance, you may not be aware that a large quantity of reflux inside the venous system feeds spider veins. You are then informed if their treatment requires non-invasive, minimally-invasive or invasive procedures. Some centers will also provide free screening to patients who have noticed signs of venous diseases. While several home remedies exist for treating varicose and spider veins, they rarely address the root cause of these diseases. While some patients are fortunate enough to treat the venous diseases through home-based cures, the majority continue to suffer from symptoms even after attempting all types of “natural cures." When natural remedies don’t work for you and you don’t want to take further risks, specialists will inform you about treatment options that will address the root cause of your disease. By addressing the root cause, you would increase your chances of being free from venous diseases for life. There are a number of general doctors who have experience in treating varicose and spider veins, when the symptoms are minimal, collaborating with specialists on a regular basis if there is a slight increase in the intensity of the symptom. However, the majority of general doctors are inexperienced in treating patients with profound symptoms of venous diseases. These patients usually find comfort in specialists, who not only have more experience in treating patients, but also use advanced treatment principles to address the disease. When you have venous disease symptoms beyond what a general practitioner can handle, it’s a smart move to visit a specialist. Perhaps the most underrated benefit of visiting a specialist to get varicose and spider veins treated is that they know several others like you. Top specialists may even give you contact details of previous patients so that you’re able to connect with them and ask about their struggles. Specialists ease your worries by telling you that anyone can suffer from varicose and spider veins and that you’ll be able to get back your flawless skin and health after treatment. Due to these reasons, a specialist opinion is recommended for treating varicose and spider veins. E-cigarettes are a fairly new phenomenon born from research into new ways to cut down on the population’s cigarette use. There are 500 brands of e-cigarettes on the worldwide market and their popularity is growing. With approximately 2.8 million e-cigarette smokers in Great Britain alone (47% being ex-smokers), the rise of e-cigarette use continues to grow. But are they safe? An e-cigarette, also known as an e-cig, is an electronic means of inhaling nicotine. They are formed as cigarettes so users can hold and inhale the ‘smoke’ as if they were smoking a traditional cigarette. A rechargeable heating battery warms a cartridge of chemicals and nicotine transforming it into breathable aerosol. The act of breathing in the aerosol is often called ‘vaping’. Nicotine or ‘e-liquid’ cartridges are sold in pharmacies and supermarkets. What’s in them and how are they different? E-cigarettes fundamentally differ from traditional tobacco cigarettes because they contain no tar or ‘smoke’ substances. Because tar and the chemicals associated with it are the main cause of lung cancer, e-cigarettes are viewed as healthier alternative. There are no governing bodies for standards in the e-cigarette market and brands contain different ingredients that are not monitored by health agencies. • Nicotine. Nicotine is the substance smokers are addicted to. It stimulates the nervous system, raises the heart rate and blood pressure. • Propylene glycol. This is the liquid used to make artificial fog at concerts. It’s approved by the Food and Drug Administration (FDA). • Glycerin. Also viewed as safe by the FDA, it’s used in many food and drug products. • Flavourings. There are over 7,000 flavourings available worldwide including sweet flavours such as cherry, cinnamon and even tobacco flavour. These chemicals are used in food but there’s no research into their effects on the lungs. When these substances heat up they form other chemicals including formaldehyde, acetaldehyde and acrolein, which are probable carcinogens, that is, cancer causing substances. Researchers simply don’t know about the long term effects of e-cigarettes because they haven’t been used for long enough to show any benefits or otherwise. Trials into their ingredients have taken place, which show they are not completely safe. However, in comparison to traditional smoking they are a safer and a healthier option. • They help people quit smoking - a huge plus for the population’s health and the burden on health systems. • Traditional smoking is well known for its cancer causing habits. The American Lung Association reports a traditional cigarette releases 7000 chemicals when burnt and that 69 of those cause cancers. Cigarette smoking can cause a number of health problems. Along with lung cancer, live cancer, mouth and bladder cancer, cervical cancer, cigarette smoking can also lead to kidney disease, heart disease, stroke, high blood pressure and male impotence. There are no pros to traditional cigarette smoking. • E-cigarettes contain nicotine but no tar, which is the cause of cancer. The National Health Service will soon be clear to prescribe them to those seeking to quit tobacco cigarettes. • E-cigarettes don’t cause passive smoking. Nearly all the aerosol is inhaled by the user, whereas cigarettes pollute the air and other people’s lungs. Neal Benowitz, MD former member of the FDA’s Tobacco Products Scientific Advisory Committee said “Seventy-five percent of the smoke generated by cigarettes is side-stream smoke, and that goes into the environment. Researchers don’t know much about the downside of e-cigarettes, but this doesn’t mean they are risk free. • Researchers from the Harvard TH Chan School of Public Health investigated 52 types of flavoured e-cigarettes for the chemical diacetyl which is used as a flavouring but causes ‘popcorn lung’ when inhaled. 92% of the e-cigarettes tested flagged it up. Popcorn lung describes tiny tears in air sacs which lead to lung scarring and shortness of breath. • Another study from the University of California re-created e-cigarette vapours and tested it on human cells. Cells exposed to the vapour developed DNA damage and died more quickly than untreated cells. Nicotine free e-cigarettes caused 50% more DNA strand breaks than untreated cells. The researchers suggest that the study shows e-cigarettes are not as safe at the marketing makes out. • A reliance on e-cigarettes is still an addiction. Addictions have physical and psychological side effects and disruption everyday life. A nicotine addiction cannot be described as healthy. • Some experts are concerned that the nicotine cartridge can be easily replaced with other substances making them a new way to deliver health damaging drugs. Experts have debated over the use of e-cigarettes in teens. In 2015 UK law changed to make e-cigarettes available to over 18s only, but not all US states have the same law. E-cigarettes are easily ordered online making them available to anyone with an internet connection. Teens have been subjected to anti-smoking campaigns all their lives. At no point for them has it been ‘safe’ to smoke real cigarettes, but teenagers who take up e-cigarettes as a way of safely smoking may cause themselves harm. E-cigarettes are products for adults trying to quit smoking, not for recreational enjoyment but the sweet flavouring used to mask the taste of nicotine is appealing to teens who are increasingly taking up the habit. Evidence shows this leads to an uptake of traditional smoking. Although e-cigarettes are healthier than traditional tobacco, and a helpful way for smokers to gradually decrease their smoking habit, e-cigarettes are not without their own risks. Perhaps the biggest risk is that researchers simply don’t know what the longer term effects are yet. In the past tobacco was prescribed as a cure for asthma so e-cigarettes may well hold undiscovered side effects in store and this in itself is a risk. Current research shows that inhaling the cocktail of chemicals created by e-cigarettes is potentially harmful. Public bodies and legislators worldwide are evaluating new evidence before implementing regulatory controls. When taken in relation to traditional tobacco, e-cigarettes are currently a safer alternative, but they should be used as a short-term tool for smokers trying to quit, not as a healthy risk-free habit for non smokers. Traveling on holiday is an event many people look forward to every year, but if you are over the age of 50, it comes with a few special challenges. One of these is the fact that as people get older, they are more likely to have certain medical conditions, such as high blood pressure or heart problems. Even if you are on medication for these conditions, it is always a good idea to use extra caution when traveling, because you never know when there might be an emergency of some type. Because of this possibility and many others, it is a good idea to take out medical travel insurance if you have any type of medical challenge. Travel insurance for people over 50 is inexpensive, easy to purchase and provides peace of mind before traveling anywhere in the world. Best of all, there are now companies that offer access to dozens of insurance providers, so that you can choose the plan that is right for you before you leave on your trip. Many people incorrectly assume that if they are over the age of 50, medical travel insurance is just too expensive to purchase, but this is no longer the case. Today there are insurance companies that specialize in providing coverage for people over 50, so their coverage is both efficient and inexpensive. Most medical conditions are covered in the policies, as long as they are disclosed beforehand. The policies cover things such as epilepsy, cancer, diabetes, lupus, stroke, asthma, HIV, high blood pressure and heart problems. Once again, these conditions must be disclosed to the insurance provider in order to be covered, but will, in fact, be covered once you purchase the policy. Websites that help you compare different insurance companies’ rates are easy to find and even simpler to use. In fact, you can check out this price comparison for over 50s travel insurance to determine how best to get the policy that you need. These websites allow you to enter a few pieces of basic information, click on the Enter button, and receive quotes from dozens of companies. Since each policy may differ somewhat, it is wise to carefully read over the details of the policy you are considering, but most policies provide excellent coverage and are reasonably priced as well. 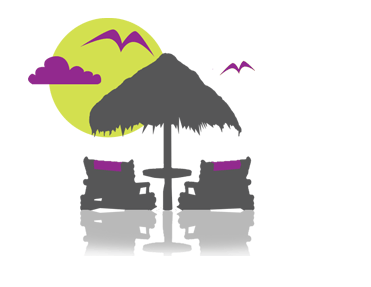 Medical travel insurance policies are so inexpensive that it is a wonder why more people do not participate in them. Policies provide coverage for travel almost anywhere in the world, and can be purchased for a single trip or multiple trips during the course of a year. You can also add extras, such as coverage for winter sports and for cruises, so the policies are as personalized and unique as the travelers themselves. Regardless of your medical condition or your destination, purchasing a medical travel insurance policy can provide the peace of mind you need when traveling across the country or across the globe. After being diagnosed with diabetes, keeping your blood sugar levels in check is solely dependent upon lifestyle regulation with the help of a balanced diet and proper workout regimen. Trading refined carbohydrates, saturated fats and sugar-loaded edibles with healthier options can lead to a radical positive change. Have a look at these amazing, yet simple recipes which strike a perfect balance between taste and health. Protein is an inseparable aspect of recommended meal plans for diabetics. 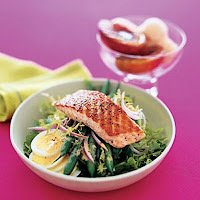 This yummy protein-rich salad is an excellent way of getting started on a low-calorie trip! At first, preheat your grill by selecting medium-high temperature. Cook the beans in a pan of boiling water for a couple of minutes and plunge those into icy-cold water after draining the hot water. Now drain once more and mix the olive oil, mustard, shallots and vinegar along with 1/8th teaspoon each of pepper and salt in a bowl for dressing. Thoroughly stir with a whisk. Spray olive oil on both sides of the salmon fillets and sprinkle with the remaining quantities of salt and pepper. Arrange the fillets on your grill rack and allow both sides to be done perfectly, till the flesh gets fragmented easily with a fork. Place the mixed greens in a bowl, topping with egg slices, onions and beans. Put the salmon on top, followed by the dressing. Set your taste-buds on fire with this super-healthy, steaming appetizer! Dry-fry the chili flakes and cumin seeds for a minute in a heated pan. Add olive oil plus the chopped onions and stir for 5 minutes. Now pour in the water/stock, chopped tomatoes, lentils, and bring to a boil. Allow 15 minutes simmering time so that the lentils soften. Use a food processor or a blender for whizzing the broth into a thick puree. Replace the soup in the pan and heat after adding chickpeas, coriander and seasoning. Garnish with coriander leaves and top with a dollop of yogurt. 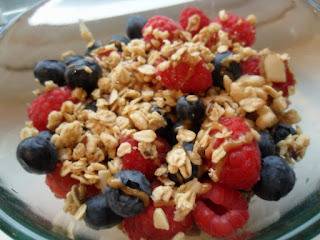 What better way of fueling your energy than waking up to a bowl of fruitylicious granola! Preheat your oven to a temperature of 325F. Pour the orange juice into the rolled oats, mix all the ingredients and spread evenly on the baking tray. Turn the mixture from time to time, baking for about 45 minutes. Bring out the tray and allow some cooling time before adding the berries, almonds and yogurt immediately prior to serving. 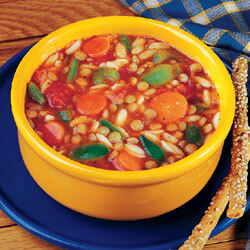 Fortify your iron levels with this succulent, flavorful dish without giving your system a tough time at all! Heat your oven to a temperature of 190C. Place the pork fillets in a non-sticky pan. Keep the flame high and cook till brown, turning them a couple of times. Combine 2 teaspoons of ginger with olive oil, cinnamon, 2 teaspoons of cumin, seasoning, and brush the pork fillets with this mixture. Roast to perfection for about half an hour. Mix the remaining cumin with sultanas, couscous and lemon extracts before poring over 350ml of boiling water. Stir well, keep it covered for a few minutes and add the chopped mint. Stir the yogurt with the leftover ginger and seasoning. Slice the pork and serve with the spicy yogurt. With the availability of such fabulous options, you can always indulge in a guilt-free ‘sweet’ recess once in a while! Preheat your oven to 350F. Remove the pits after cutting 4 peaches into halves. Place the halves in boiling water and cook for a couple of minutes till they start becoming tender. Drain and arrange the peaches on a shallow baking tray with the cut sides up. Chop the remaining peach after peeling and pitting. Put the amaretti crumbs, chopped apricots, brandy, almond extract, egg white in a bowl and mix thoroughly with continuous stirring. 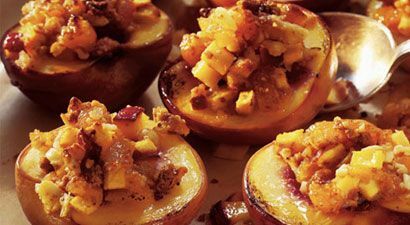 Stuff the cavities of peach halves with this filling, gently press and sprinkle the brown sugar on top. Put a foil covering on the tray. Bake for about 25 minutes till soft. Finally, uncover and bake at a temperature of 400F till the topping turns golden-brown. It has been observed that figuring out an appropriate diabetic dietary plan often involves a trial and error method under medical supervision, since the nature of metabolism tends to significantly vary from one individual to another. It's almost impossible to get through the week without hearing about different ways people try to improve their overall health. There are some who skip eating meat on Mondays and increase the amount of vegetables they eat on that same day, those who stopped eating gluten and those who found easy and convenient ways to workout more. You may also hear about the growing number of people taking health supplements and wonder if those supplements are right for you. Before you start shopping for supplements, you need to look at other ways you can start improving your health today. The human body needs sleep to remain healthy, but if you are like most people, you probably don't get enough sleep every night. Most adults need a minimum of six hours of sleep each night. If you have problems drifting off, you can cut back on your caffeine intake, spend some time relaxing at the end of the night and use a white noise machine in your bedroom. Taking out your television and any other distractions in the room can also help. Meditation is one of the best ways to improve your mental health. Though you might imagine people sitting on yoga mats and communing with nature, meditating is something you can do in the middle of your home or even in the office. All you need is a quiet place that makes you feel relaxed. Sit down in a comfortable position and focus on your breathing. Clear your mind as you slowly inhale and exhale. Spending just 10 minutes meditating every day can help you regulate your moods and feel happier. 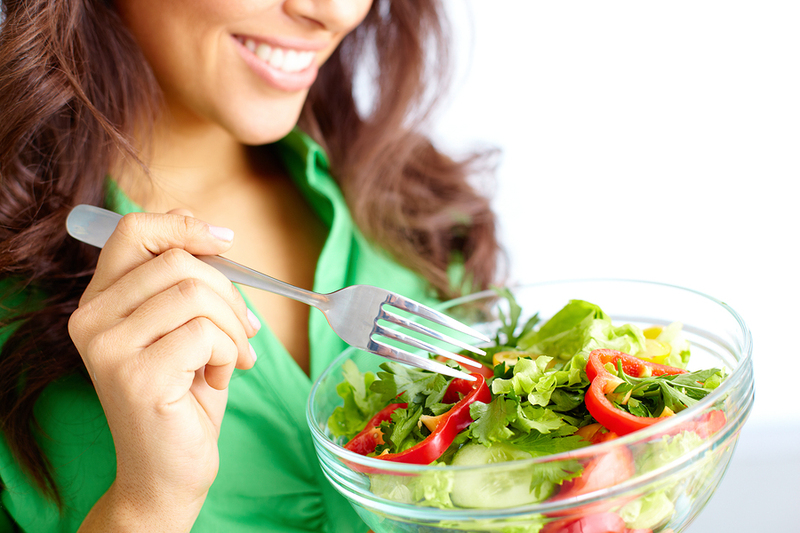 If you want to look better and feel healthier, you need to make some dietary changes. Aim to eat at least three servings of fresh fruits and vegetables every day. You might grab a handful of berries before leaving for work in the morning, snack on carrot and celery sticks in the middle of the work day and treat yourself to a ripe apple as a dessert. Keep single-serving snacks on hand too. When you bring home fresh fruits like berries and grapes, portion those fruits into individual bags that you can take with you. You'll also want to make sure that your serving of vegetables at every meal is larger than the serving of meat that you take. Smoking is extremely bad for you. It can increase your risks of suffering from a stoke or developing lung cancer. While smoking is bad, other habits are just as bad for you. Leading a sedentary lifestyle that has you sitting on the couch for hours at a time or lounging in bed all day can increase your risks of suffering a stroke or a blood clot. Today is the day that you finally cut back on those bad habits and start seeing your overall health improve. Playing simple games is a great way to boost your mental health. Some even believe that playing mind games can reduce your risk of developing Alzheimer's in the future. Look for simple games like puzzles that require you use your brain. You can download those games right to your phone or tablet and take those games with you. The next time that you find yourself waiting in line at the DMV or sitting in the waiting room at your doctor's office, play a few levels instead of flipping through a magazine. Many of the top health supplements today contain an ingredient called shilajit. This is a natural ingredient that functions in the same way that fulvic acid does. It can help remove toxins from your bloodstream, improve the look of your skin and reduce the impact of environmental pollutants and toxins on your body. As more than 90% of the supplements containing this ingredient found on the market today are counterfeit though, it's important that you buy from a reputable source and a company that guarantees all the products it sells. Other supplements contain ingredients that can help improve blood flow, reduce stress, boost your memory and reduce your risks of contracting certain diseases. Improving your overall health can help you feel better about yourself and increase your lifespan too. Though you might think that it takes years to improve your health, you can make some simple changes today like taking health supplements, eating better and meditating more. Our interactions with the medical field can be stressful, especially when a diagnosis or treatment plan is considered serious. Critical conditions or life-threatening illnesses evoke a level of fear not found in most other life situations, and oftentimes, there is a sense of urgency that surrounds a medical professional’s recommendation for how to get back to a healthy status. Despite the sense of urgency, making quick decisions when it comes to medical care is not always the best course of action. Taking the time to fully understand your diagnosis and course of treatment options is one of the best steps we can take to ensure a positive end result. Part of that process is obtaining a second opinion. Doctors are trained to diagnose and treat a wide range of conditions and diseases, and so it is natural to simply go with the initial advice from your primary care physician. However, they don’t always get it right the first time, resulting in misdiagnoses, unnecessary treatment plans or prolonged symptoms. According to a recent study, over one third of patients within the United States never get a second opinion, despite the fact that just under 10% of all patients do not fully comprehend their diagnosis or plan for care. Seeking out the advice or counsel of a medical professional above and beyond your current provider is a smart way to combat these issues, but the process of getting a second opinion is often wrought with discomfort – most of us wish to not rock the proverbial boat. To ensure you are receiving the most suitable treatment for your medical condition, getting a second opinion is incredibly important. Here’s how to tackle the process. What Prompts a Second Opinion? Receiving a second opinion soon after any of these circumstances take place is important in maintaining control over your medical care. Additionally, second opinions are helpful in protecting you against malpractice or questionable treatment plans implemented by your doctor. Patient Claim Line, a medical negligence solicitors firm, reports that 14% of medical claims within the UK are directly related to information provided during a second opinion. Safeguarding yourself from adverse outcomes related to your health is necessary, no matter how big or small your condition or illness. Obtaining a second opinion feels a bit awkward in practice, especially when the relationship between you and your primary doctor is strong. However, it is important to remember that we all have the right to seek out a second opinion when we deem it necessary, as it is our responsibility to take as much control as possible over our own medical care. The majority of health care coverage plans afford patients the ability to get a second opinion for serious conditions without too much of a hassle. Others, however, make it more challenging to receive the advice from a specialist or another physician for a condition already diagnosed or after treatment has begun. Regardless of the circumstances under which you fall, it is necessary for you to be heard if you feel a second opinion is needed or otherwise desired. Doctors are often willing to lend a hand for patients who want a second opinion, and most understand this to be a basic right of all patients. Take the stress out of asking for a second opinion by being open and honest with your primary medical professional about your concerns or questions surrounding a diagnosis or treatment plan. If they seem put off by your request, or disinterested in assisting you, work directly with your health care coverage provider to find another medical professional to assist you in achieving the best possible care. I want to get a second opinion before starting any treatment plan. Can you help me with this? Would you get a second opinion if you were in my shoes? My family has urged me to get a second opinion about my diagnosis/treatment plan. This diagnosis and treatment plan concern me. To feel comfortable making this decision, I want to consult with another doctor for a second opinion. Starting the second opinion discussion off with one of these phrases will help eliminate some of the stress that comes with seeking out additional/different advice. If you choose to seek out a second opinion without asking your doctor for help, know that it is necessary to still keep them informed. Medical records including lab results, notes and current or past prescriptions need to be shared with secondary doctors in a timely manner to ensure there are no delays in receiving additional advice or care. As much as second opinions are an important aspect of maintaining control over your health care and treatment, the process seems arduous to most patients. 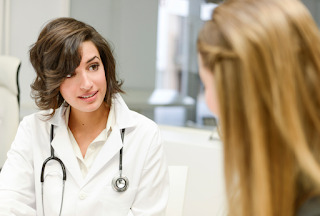 Obtaining a second opinion does not have to be a challenging or uncomfortable process, however. Start by knowing when a second opinion is warranted, and how obtaining this supplemental information is beneficial to your well-being on a multitude of levels. Work with your primary doctor first, and take advantage of your health insurance provider should you run into any issues. Know that obtaining a second opinion is one of your basic patient rights, and don’t be afraid to follow your gut when the need arises. How Do Diabetes Test Strips Work? Diabetes test strips or blood glucose test strips are an essential component when it comes to testing levels of blood glucose. These small, disposable plastic strips may look insignificant, however they actually play a hugely important role in helping people with diabetes to better monitor and manage their condition. In the majority of cases, each meter will take one type of test strip only. However, there are certain blood glucose meters which also test for ketone levels and take blood ketone strips. So, how do diabetes test strips work? The specifics of how diabetes test strips work is something that crops up a lot in diabetic FAQ. When it comes into contact with the test strip, the blood will react with the glucose oxidase chemical, which produces gluconic acid from the glucose in the blood. The meter then transfers a current to the test strip via electronic terminals which allows the meter to measure the current. Depending on the amount of gluconic acid which has been produced, the current between the terminals will vary. The blood glucose meter will then use an algorithm to determine the level of glucose in the blood based upon the difference in current. Where Can I Get Test Strips? Diabetes test strips and meters can be obtained on prescription from your doctor. They can also be purchased in certain pharmacies and online pharmacies. Whether or not you are able to get diabetes test strips on prescription will depend on the type of diabetes that you have and the severity of the condition. You can also get test strips from ‘diabetic strips for cash’ schemes, which buy unused and unwanted test strips from people and sell or give them to diabetics who need them. If you have been diagnosed with diabetes, your doctor will be able to tell you whether or not you need to use test strips in order to manage your condition. How Long Do the Strips Last? Blood glucose test strips will normally have a use by date, either on the strip itself or displayed on the box in which they arrived. 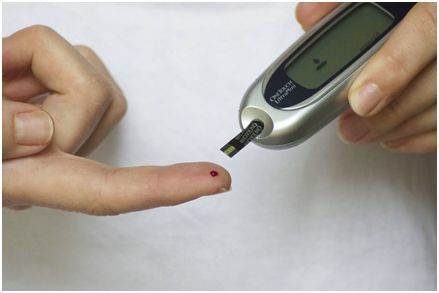 Once opened, the majority of diabetic test trips will be good to use for around three to six months, however it’s crucial that you refer to the box or the information slip provided with your test strips to ensure that you do not end up using out of date blood glucose test strips, which may produce inaccurate results. How Should Diabetes Test Strips Be Stored? Blood glucose test strips should be stored at room temperature, and within the sealed vial. You should never refrigerate your diabetes test strips or expose them to heat, as extreme temperatures can cause serious damage. Exposure to humidity and direct sunlight can also render your test strips unusable. You should not use any test strips which have come into contact with other substances or if they have been damaged in any way. Diabetes test strips are absolutely crucial to managing diabetes day to day. An EMG, otherwise known as electromyogram, is a test used to measure the electrical activity in muscles. It's typically done alongside a nerve conduction velocity test (NCV), which measures nerves ability to send signals. The tests are usually performed by an electromyographer, who is typically a Psychiatrist or Neurologist. In some cases, the NCV test is performed by a trained technician. This is a procedure that can be done in-office and doesn't require hospitalization. The average EMG takes between 30 minutes and 2 hours, depending on how extensive the testing is. In most cases, it doesn't require any preparation and can be done at any time of the day. At the time of the test, you'll be in a room with one or more EMG machines. They look like a regular laptop or desktop computer and aren't as intimidating as they sound. The test usually consists of two parts, and you'll be laying comfortably on an examination table while they are performed. The first test, the NCV, the doctor will attach some small electrodes to the surface of your skin and then touch you in another area with electrodes to produce a small electric shock. This is to determine how well your nerves conduct the current - an indication of how healthy they are. You may feel a slight tingling sensation during this test, but the electrical current is always at a safe level. This procedure is normally repeated a few times to ensure all nerves in the area are tested. The second part of the test is known as a needle examination. In this test, the doctor will insert very thin needles into relaxed muscles and gently moved around to record the muscle activity. The needle insertion itself may cause a little pain, but once inserted you should only feel a little pressure or discomfort. EMG tests are most often performed when a patient has symptoms that might indicate a muscle or nerve disorder. These symptoms can include, numbness, tingling, muscle pain, weakness or cramping and some types of limb pain. 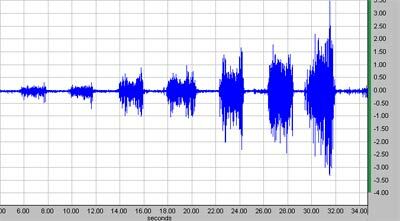 Also, a patient experiencing difficulty walking, handling objects or buttoning clothes may need an EMG. 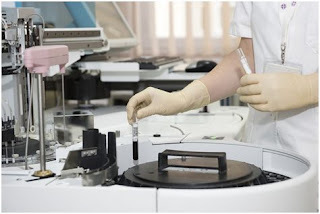 The results of EMG tests can be used to rule out or diagnose many conditions including muscle disorders like polymyositis and muscular dystrophy. Results may also help in the diagnosis of nerve disorders such as a pinched nerve, peripheral neuropathies and carpel tunnel syndrome and disorders that affect the root of the nerve like a herniated disk or sciatica. EMG test results are also used to diagnose disorders that affect motor neurons in the spinal cord or brain like polio and amyotrophic lateral sclerosis, otherwise known as Lou Gehrig's Disease. The EMG test is a relatively new procedure, with electrodes and the cables necessary to produce signals being mass produced in the mid-1980s, and is one of the fairly recent medical testing advances that can detect and diagnose conditions and save lives. Did you know your age significantly impacts your fertility? As you get older, the quantity and quality of your eggs begins to decline, reducing your chances of having a healthy pregnancy. You’re most fertile in your twenties, followed by your early thirties, but what if you’re not ready to start a family within this time frame? Thanks to advanced egg freezing technology, you can now preserve your fertility at its peak. This opportunity extends your childbearing years, giving you more options for the future. If you’re considering egg freezing, take some time and learn what you can do to be successful. Your first step is consulting with a reproductive endocrinologist to review your medical history and discuss your pregnancy goals. Bloodwork is drawn to test your hormone levels, and then an ultrasound is performed to assess your ovarian reserve. Finally, if you are not on the birth control pill, your doctor may ask you to start taking it for a month or two to regulate your menstrual cycle. To prepare your body for egg retrieval, you will receive hormone injections that stimulate the ovaries to produce as many mature eggs as possible. During this time, which usually lasts five to 10 days, you will have regular bloodwork and ultrasounds to monitor egg follicle growth in your ovaries. Medication dosages may be adjusted based on follicle development. After about two weeks, once your follicles have reached maturation, you are given a “trigger” shot 36 hours before your retrieval. Timing is very important! The trigger shot, or hCG (human chorionic gonadotropin), causes your follicles to release the mature eggs just when you are ready for retrieval. Eggs are retrieved during a 10-15 minute procedure in which you are under mild anesthesia. Your doctor will use an ultrasound-guided needle attached to a catheter to remove the eggs from your ovaries. You may experience some cramping following the procedure; it takes about two weeks for your ovaries to fully recover from stimulation and retrieval. Once retrieved, the eggs are taken to a lab where an embryologist separates the mature from the immature eggs. All mature eggs undergo vitrification, a new technology that is the most effective way to preserve eggs. 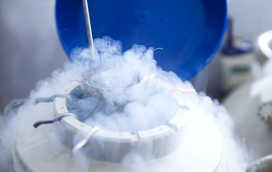 To prevent damaging ice crystals from forming, eggs are exposed to liquids known as cryoprotectants, then placed into liquid nitrogen and stored. Until recently, egg freezing happened through a slow-freeze process that often led to ice crystals forming in the eggs, destroying them. Now, the vitrification process freezes eggs so rapidly that ice crystals are unable to form, keeping the cell structure together. As a result, eggs that have been vitrified are virtually indistinguishable from freshly retrieved eggs. Within 24 hours of your retrieval, the fertility clinic will let you know the number of eggs retrieved, and the number of mature eggs frozen. The beauty of egg freezing is you have control over the timeline in which you would like to conceive. You can access your frozen eggs whenever you are ready to proceed with in-vitro fertilization (IVF). You begin by taking medications, including estrogen and progesterone, for about four weeks to prepare the endometrial lining of your uterus to accept the embryos during the IVF transfer. When it’s time for the transfer, the egg bank sends your frozen eggs to the fertility clinic, where they are removed from storage and quickly rehydrated and warmed. Next, the embryologist examines your eggs to determine their quality. Then, eggs are combined with your partner's sperm using a process called intracytoplasmic sperm injection (ICSI), in which a single sperm is injected directly into each egg with a needle, instead of allowing sperm to penetrate the egg in a Petri dish. After fertilization, the embryos begin to develop. The embryologist selects the most viable embryo(s) to place in your uterus three to five days after the egg retrieval. The doctor will transfer these embryos into your uterus by inserting a thin tube called a catheter through your cervix. You and your doctor will discuss the optimal number of embryos to transfer based on several parameters. Two weeks after the transfer, you will return to the fertility clinic to take a pregnancy test; specifically, a blood test that measures the level of hCG, also known as the pregnancy hormone. At that time, you will learn whether the cycle was a success. Egg freezing is a reliable option to explore when considering your future family; don’t let your biological clock - or anything else - determine when the time is right for you to have children. Sixty million Americans suffer from heartburn at least once a month and most of the time it’s nothing serious. 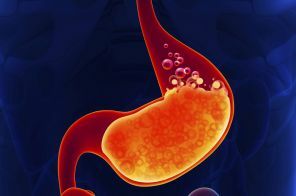 But an estimated 19 million have burning and discomfort at least twice a week on a long-term basis and could be at risk for complications of a condition known as gastroesophageal reflux disease (GERD). - Irritation or swelling of the esophagus (esophagitis). Triggered by constant exposure to stomach acids as they wash over the lining of your esophagus, it can cause pain and make your esophagus vulnerable to scarring and additional damage. - Esophageal stricture. If your esophagus stays irritated long enough, this tube that carries food from your mouth to your stomach may develop a narrow area filled with scar tissue known as a stricture. 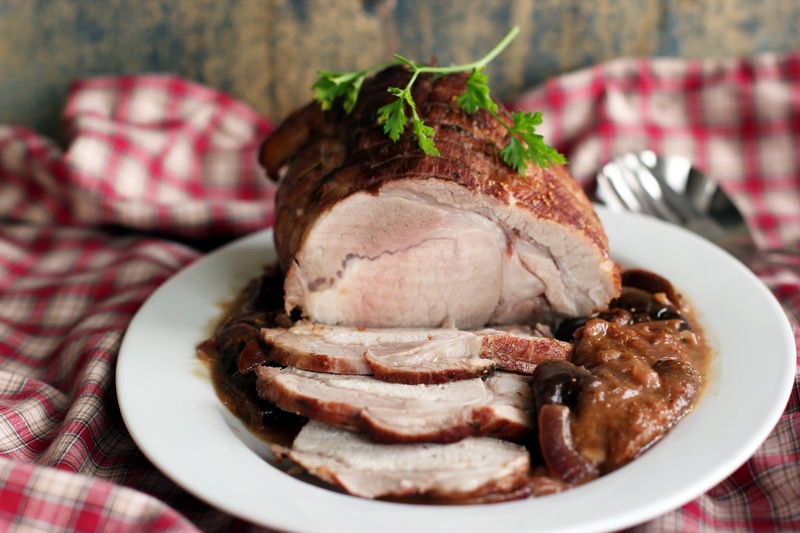 Strictures can make it hard for food to pass and may cause choking. Strictures can be corrected with procedures to stretch or dilate the esophagus. - Hoarseness when you speak. Not every case of GERD comes with classic heartburn. You may notice your voice changes and you become hoarse, have a sore throat, or chronic cough—all of which may be part of untreated GERD. - Asthma and pneumonia. As stomach contents wash up your esophagus, there’s a chance they could take the wrong path, entering your lungs. Anytime an outside fluid gets into the lungs you have a risk for the development of infection (pneumonia), shortness of breath, and the development or worsening of conditions like asthma. - Tooth decay. Sometimes considered a symptom of advanced GERD, tooth decay occurs when stomach acids wash all the way back up to the mouth. You may notice this as a sour taste in your mouth and nothing more—but contact of acid with your teeth over time can cause erosion and permanent damage to your teeth. - Barrett’s esophagus. Also an advanced complication, these precancerous changes in the lining of the esophagus can only be diagnosed by endoscopy—when your doctor runs a light and tube down through your esophagus and takes a sample of the tissue for testing. There are no symptoms of Barrett’s esophagus outside of what your GERD may cause, and if left untreated could lead to esophageal cancer. Gastroesophageal reflux disease may develop from different causes and may present itself in many ways. Being informed about the complications that come with it is half the battle towards minimizing GERD’s negative effects. Talk to your doctor if you think you may have GERD and learn more today. It is sad how the quality of edibles is degrading day by day. Adulterated food products, though cheap, are harmful for you in the long run. You cannot afford risking your family’s well-being, and when it comes to the health of your loved ones, only the best will do. An organic nutritious diet keeps you and your family fit and fine. Unlike processed juice cans, organic juices have nothing artificial about them. These juices are freshly squeezed out from a real fruit or vegetable. 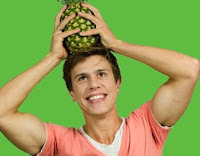 This way you get all the proper vitamins and minerals of the fruit directly. Your body needs some important vitamins and minerals for proper functioning and organic juices replenish that need. Organic juices keep you active and energised throughout the day. As some fruits are naturally sweet, the sugar content in them is a great source of energy. This is because consuming fresh fruits and vegetables keep you refreshed, increases you stamina and boosts your immunity. You can focus better and not feel exhausted every time. 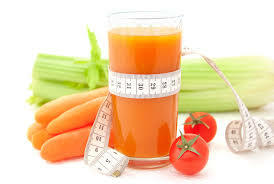 The many vitamins and minerals present in organic juices help fight harmful bacteria and prevent other diseases. Fruits such as oranges, lemon, and apples are great to boost the immunity as they contain Vitamin C, an important factor that fights all the harmful viruses and infections. Yes, consuming organic juices also takes you one step closer to shedding those extra kilos and getting that perfect toned body. Although proper workout is also necessary, one cannot deny the role or juices. Pure coconut water, lemon juice and beetroot help you manage your weight issues as these fluids your appetite and are very low on calories. Drinking organic juices daily can work wonders on your skin. Getting that perfect radiant, glowing and youthful skin is no more a dream! Lot of fruits and vegetables have anti-aging properties as well that help you look naturally beautiful. Also drinking organic juices reduces inflammation and baggy eyes and gives you an even toned complexion. Fruits and vegetables such as watermelons are a great source of water and consuming them as juices also help you overcome dehydration. Also the sugar content in some fruits manages the glucose levels of the body. 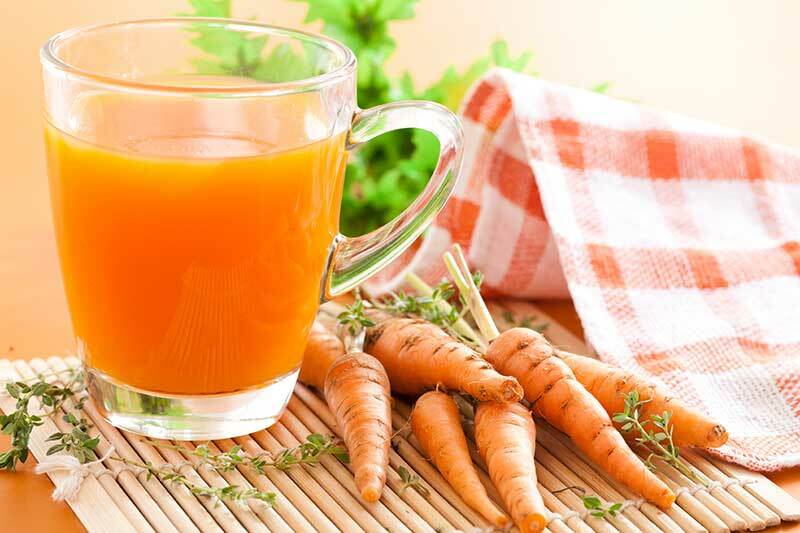 Especially beneficial in the hot and humid summer, organic juices keep up the water content in your body and keep you hydrated throughout the day. Most of the fruits and vegetables are rich in vitamin C, and are therefore a great way to strengthen your immune system! Also vitamin C reduces the risk of ulcers and painful kidney stones considerably. The citrus acid present in many fruits prevent kidney stones form forming and ensure proper elimination of wastes. Rich in nutrients the organic juices are low on calorie and fat free thus balancing the cholesterol levels and even preventing heart attacks! Vegetables such as spinach and kale help in the production of blood and even prevent deadly diseases such as diabetes, blood pressure and even fight cancer! Consuming organic juices also gives your body the much needed antioxidants that cleanse your body and eliminate the harmful toxins. 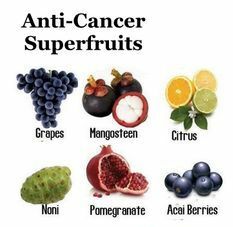 Antioxidants also prevent acnes and pimples and keep your skin clear and blemish free. Fruits and vegetables are also a rich source of healthy carbs and proteins. This means a glass of organic juice can help you develop those rock hard muscles! Also most fruits have healthy levels of carbs and are almost fat free and hence a healthy option for athletes. 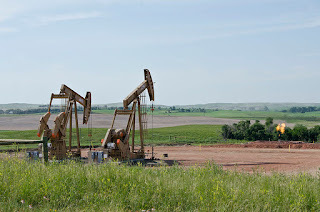 Accidental spills of wastewater at unconventional oil drilling sites in North Dakota have resulted in widespread soil and water contamination, according to a new study conducted by researchers from Duke University, which was recently published in the journal Environmental Science & Technology. 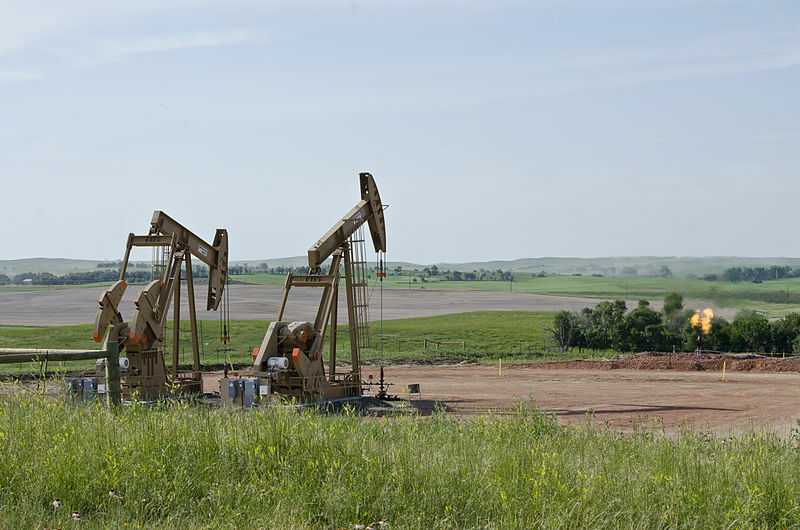 The scientists found high concentrations of lead, selenium, ammonium as well as other toxic pollutants, together with high salt levels in wastewater produced during fracking activities at oil drilling sites in North Dakota's Bakken region. Streams contaminated by the fracking wastewater contained concentrations of pollutants that in many cases exceeded federal safety standards set for drinking water or for environmental health of freshwater systems. Soil samples taken from spill sites showed that soils were contaminated with the radioactive element, radium, which chemically bonded with the soil following the release of spilled wastewater. In one case, the scientists still found high concentrations of pollutants in spilled wastewater four years later. 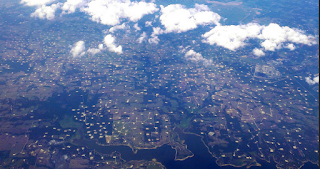 During the course of the study, the researchers mapped the 3,900 wastewater spill sites to illustrate how oil drilling intensity played a key contributing role in wastewater spills. Over a seven year period between 2007 - 2014, unconventional oil production has increased from around 100,000 barrels per day to over 1 million barrels per day in North Dakota. The increase in production is largely due to advances in hydro-fracturing and horizontal drilling technologies. The expansion of the oil and gas industry in North Dakota has spurred economic growth, particularly in the rural areas and tribal lands. However, this expansion has also fueled concern about the impact on drinking water quality. According to lead author of the paper, Nancy Lauer, a doctoral student at Duke, unlike oil, which breaks down in soils, brine-laden spilled wastewater contains salts, heavy metals and inorganic chemicals that do not readily biodegrade. Consequently these contaminants persist in the environment for a very long time. As a result, we now have a legacy of radioactive contamination at these spill sites. Lauer points out that soil samples collected further downstream from wastewater spill sites had higher levels of radiation than soils samples collected from a wastewater spill site itself, suggesting that radium accumulates in soils as spilled wastewater flows through. Considering that wastewater spills can occur upstream from drinking water sources, it is important to conduct long-term monitoring of waters further downstream to determine the impact on drinking water quality, notes Vengosh. For example, in 2014 a leaking underground pipeline spewed roughly 1 million gallons of brine into Bear Den Bay, situated less than a mile upstream from Lake Sakakawea which supplies drinking water to residents nearby. Aerial view of resource extraction in Texas. Keep a box in your medicine cabinet and you won’t have to worry about those random nights when you are snoring up a storm for no apparent reason. When you partner is kicking you out of bed, and waking you up in annoyance to because you sound like an elephant. If you keep one or more options that are capable of stopping snoring in its tracks simply and easily, you might get to stay in bed. You know those nights when you are so tired you can’t think straight, or when you have had a really late night enjoying a few drinks with your friends. Other causes for occasional snoring can be seasonal allergies, or colds that cause inflammation in the airways. These types of snoring are easy to curtail using simple theravent strips, which will assist in keeping the airway, open and reduce the obnoxious noises. For those who need nightly treatment, at just over a dollar a day this option is a really good alternative to more invasive mask therapy. Though if you are snoring every day you might want to be sure you don’t have a full on case of sleep apnea which can be much more complicated and require more aggressive treatments. Theravent is available in three different types which can handle the light snorer, the mid range snorer and the master snorer who might easily be mistaken for a bear coming out of hibernation. It is really easy to believe that snoring isn’t a thing to be concerned about, especially if you don’t have anyone in your bed that is complaining about the noise. You will still be waking yourself up and not experiencing the restful and rejuvenating sleep you need, but you may not be aware of how often or how much your are suffering. When in doubt it is a good idea to speak to your physician. Even if you are simply feeling more tired than normal and don’t have an obvious reason why that might be happening. Getting a grip on the problem early can reduce your risks of suffering major problems that can be very serious. Sleep apnea is nothing to blow off; it can cause some very serious illnesses and even death. Having a simple solution to sometimes snoring is an excellent way to ensure the restful nature of your sleep for those who love you and spend the night in your bed. You may also find it helps you to achieve a better night sleep as well since you likely startle yourself with the noise. Everyone experiences occasional bouts of snoring and this is nothing to worry about at all. It is only a problem when it becomes frequent and especially if it is accompanied by moments when it seems you stop breathing all together. Be prepared for anything with a stocked medicine cabinet that includes stop snoring aids, first aid supplies, and a variety of cold, pain and allergy medications to be sure you have the situation covered before it even occurs. Braces are one of the most common forms of treatment in our society. In fact, they’re almost like a rite of passage for many of us during our teenage years. They’re usually required for 12 to 24 months, not only to correct the alignment of our teeth for functional purposes, but also for aesthetic reasons. After all, a straight smile is a beautiful smile! But what about that time when we do have the braces on our teeth – how do we make the most of our smile then? For starters, taking care of your braces is pivotal. Let’s look at some of the dental supplies available from Orien Dental Supplies to help you look after your braces so they can help you create the smile you want. Brushing your teeth is always important, but especially so when you’re wearing braces, as there are more spaces for food particles to get lodged in and potentially cause dental problems. While people are recommended to brush twice daily, people with braces should brush their teeth after every meal – even that mid-afternoon snack. 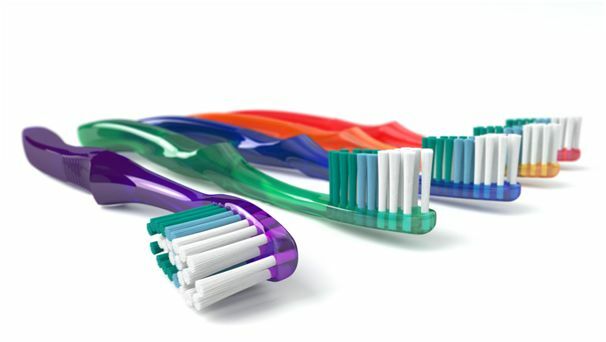 Your choice of toothbrush is also an important point of consideration. In the battery powered vs. manually operated debate, many dentists and healthcare professionals tend to side with battery power. The common belief is that people who brush with a traditional, non-augmented toothbrush tend to brush harder than necessary, which has the potential to cause unintended damage to the teeth. Add braces into the equation and the damage could become quite expensive. With electric or battery powered toothbrushes, however, users are less likely to brush unnecessarily hard, as they tend to put their faith in the speed and intensity of the brush. Dental suppliers Orien Dental have a selection of manual and powered toothbrushes to suit your needs. You might think that flossing with braces might be difficult with the wires and metal pieces, but it’s simpler than you might think. We recommend flossing once a day; not only between the braces, but underneath the wires as well, where food is most likely to be caught. Orien Dental Supplies can provide you with the Paro Brush’n Floss that allows you to clean around your braces using the foam-like portion to remove any food particles or plaque that your toothbrush can’t. The Paro Brush’n Floss also has a stiffened end dental threader that allows you to manipulate it around your braces. Additionally, Orien Dental Supplies has a comprehensive range of interdental brushes with a variety of handles and brush sizes to complement your cleaning needs. These products are orthodontically friendly and are ideal for cleaning around your braces. 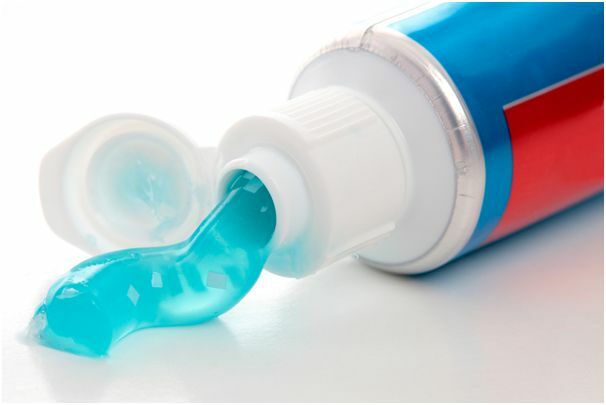 During your orthodontic treatment, you may be asked to use a chlorhexidine gel or toothpaste to help with any gum issues that may arise. We can provide you with these dental supplies. There are also two strengths of fluoride toothpaste that we can provide for your daily use that are SLS free with a mild mint taste. At Orien dental supplies, there are 2 types of mouthwash that you can use to help protect your teeth and gums during your orthodontic treatment. Your dentist is the best person to recommend the type of mouthwash you may require. Within our chlorhexidine mouthwash range, there are three different strengths of the active ingredient available depending on the oral issue. All are alcohol free. We at Orien are the only Australian dental supplier to have 3 different strengths of chlorhexidine mouthwash. We also supply fluoride mouthwash, such as the Parodent mouthrinse that has 250ppm fluoride and is alcohol and colour free. It comes in a 500ml bottle with a unique measuring dispenser to reduce wastage. This is only available from Orien Dental Supplies. While most people typically only have braces on for 18 to 24 months, it can be quite a difficult period of adjustment no matter what age the wearer is. Looking after your braces is crucial if you’re committed to looking after your teeth, and Orien Dental Supplies is committed to looking after you. As a leading provider of dental supplies in Brisbane, Melbourne, Sydney and across Australia, discover just what we can do for you. Explore our comprehensive range of dental supplies online today. Do You Know How the FDA Approves New Medications? It’s Time You Learned! Over the years there have been so many FDA approved medications that have been pulled from the shelves that it leads many to wonder how they were ever deemed safe for the general public in the first place. If you or a loved one has been prescribed a ‘new’ medication that you are unfamiliar with, and even those you’ve heard of before, it pays to know a little bit about how the FDA approves new medications safe for use in the United States. With drug after drug being recalled and class action suits filed against the manufacturer, like the recent Xarelto Lawsuit filed against Bayer AG and Janssen Pharmaceuticals, consumers should know how the medications they take actually reach their pharmacists’ shelves. The group within the Food & Drug Administration (FDA) that has the final say on whether or not pharmaceuticals are safe to be sold in the U.S. is the Center for Drug Evaluation and Research, CDER. By the very name of the group you would think that the FDA has gigantic laboratories equipped to thoroughly test every drug that applies for patent and to be sold here in the U.S. Unfortunately, this really isn’t the case. Where consumers go wrong is in thinking that the FDA employs thousands of scientists and research assistants to conduct studies on each and every medication that comes across their ‘desk.’ Unfortunately, this is simply not the case. CDER does limited testing only after the medication (or supplement) has been studied by the manufacturer and that particular formulation meets with the FDA’s requirements. But does it really? Since the FDA, or CDER to be exact, does not do the testing for efficacy and safety, they are pretty much operating on the assumption that the testing conducted by the manufacturer and/or third party laboratories is thorough and accurate. The only research conducted by CDER is usually in terms of quality control. In effect, what the government is looking for is problems in the process not in the safety or efficacy of the drug. If all the necessary paperwork required by the government is in order and the manufacturer appears to have tested the drug in compliance with FDA guidelines, most pharmaceuticals are approved for sale in the United States. CDER’s Office for Testing, as mentioned above, will do sporadic quality control tests but does not test for safety. Consumers should be made aware of the fact that they are, for the most part, taking the word of the manufacturer who of course wants to sell that drug for profit. Consider the fact that a pharmaceutical company most likely invested tens of millions, if not hundreds of millions, of dollars in producing the formulation so they want to profit from their investment. But at what cost? Are FDA Guidelines Strict Enough? This is not to say that a manufacturer knowingly withheld pertinent information from the FDA when seeking approval for their new medication. Many times it took being released to millions of people to realize the full extent of potential side effects. Whether the pharmaceutical company fell short on their ethical responsibilities or the required testing wasn’t sufficient to find those exceptions to the norm isn’t really at issue here. The point is, consumers are led to believe that the FDA approved each and every drug after doing their own independent studies and this is just not the case. Consumer beware. Do your own research before taking any new medication because there may already be problems reported that you should be aware of. If you don’t take your own safety into your own hands, who will? Snoring occurs when the nasal and throat airways are obstructed, causing the surrounding tissues to vibrate. Snoring can be caused by a number of factors including poor diet, weight gain, the aging process, sedentary lifestyle, stress, etc. While snoring can usually be a symptom of a more serious ailment, it can also affect your relationship with your family and loved ones. Therefore, it’s important to follow regulated methods to eliminate snoring once and forever. Obesity can drastically increase the accumulation of fatty tissue around your throat area, by following a healthy weight loss program, you can shed the extra calories to decrease fat cells around your neck and help ease your airways to breathe better, thus eliminating snoring once and forever. Adopting a vigorous cardio or weight lifting regime can help tone your muscles and keep you fit. An active lifestyle contributes to optimum sleeping habits, thereby reducing your snoring levels over time. It is a good idea to monitor your fitness habits via a fitness journal and periodically check to evaluate your snoring levels. Smoking has been proven to be one of the leading causes of sleep disorders such as sleep inertia, insomnia, sleep apnea, etc. all of these disorders cause snoring as their symptoms. 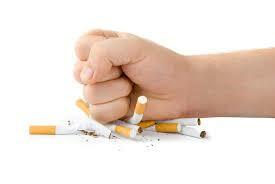 Quit smoking to improve your overall health as well as clearing your lungs to receive clean and fresh air. If you are an alcoholic or partake in the frequent consumption of liquor, it’s recommended to decrease or completely stop alcohol consumption. Alcohol is a muscle relaxant and can cause your throat tissues and muscles to contract, this can proceed to cause episodes of snoring. If you are someone that prefers sleeping on their back, you might want to opt to sleep on your sides. Sleeping on your back can cause your tongue and muscles to rest on your throat, this, in turn, can cause obstruction to your throat passages and may promote snoring. A simple way to force your body to sleep on the side is to wrap a tennis ball or body pillow to your back, enabling your body to forcefully shift to your side. Dust mites encourage allergic reactions causing your nasal airways to relax. This can increase your snoring levels. Also, avoid playing with pets in your bedroom to prevent them from shedding animal dander, an irritant that causes nasal allergies. Cleaning your pillow covers and bed sheets every two to three months can relieve your snoring condition. It goes without saying, if you have a sleep problem, your chances of snoring are high. It’s advisable to stick to the same sleeping pattern daily to keep your biological clock in check. Getting a good night’s rest can improve your chances of decreasing snoring altogether. 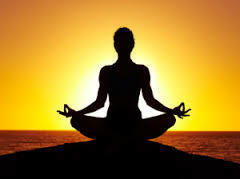 Yoga or meditation can cause a deep sense of relaxation. Incorporating breathing exercises can clear your airways and increase lung capacity for better air flow within your nasal and throat passages. Meditation has also proven to decrease stress levels, which can aid immensely in gaining a good shut-eye every night. There are quite a few devices that help combat snoring either by forcing your head to attain a relaxed position or by oral application. The chin strap is a popular device recommended by sleep experts to help prevent snoring, the apparatus works by strapping the belt across your head and chin to assist in keeping your mouth closed while you snooze. With your mouth closed, your airways remain clear to eliminate snoring. The anti-snoring mouthpiece is a device that when inserted into the user’s mouth enables the user’s mandible or jawbone to widen and increase airways, this reduces wind turbulence inside the mouth and allows the user to breathe without restriction. If none of the above-listed methods have proved to be effective in relieving your snoring condition, then perhaps it’s time to visit a Somnologist or Neurologist to determine the underlying condition. Snoring is a condition that should never be ignored, it could relate to a more serious and undetected sickness that could prove to be fatal if not caught early.